For those of you who missed TelerikNEXT (and that means most of us in India), you don’t have to miss out on all the announcements that came out of the hugely successful conference. In case you have a question/ comment on the same, please do share the same with us in the comments section. 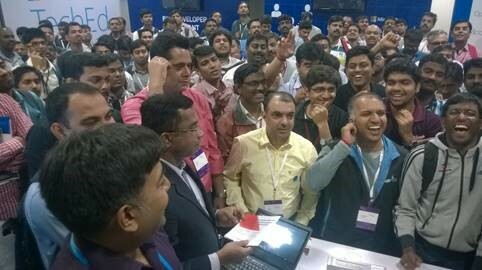 TechEd India 2014 is the premier annual event of Microsoft conducted in Bangalore, India. This year TechEd was hosted on Nov 5 & 6 2014. 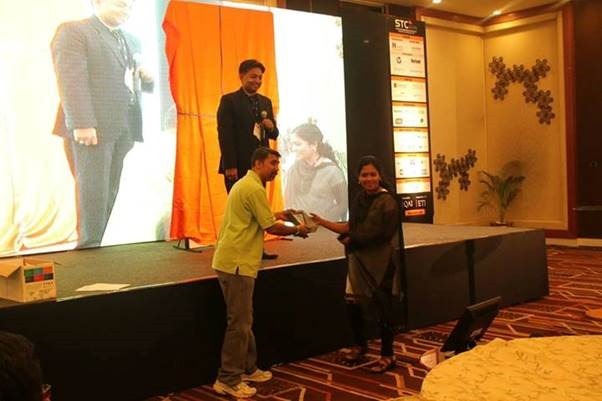 Telerik India was a proud bronze sponsor at the event. Telerik presence was marked with an exclusive booth that had technical staff available to answer any questions that the community may have. 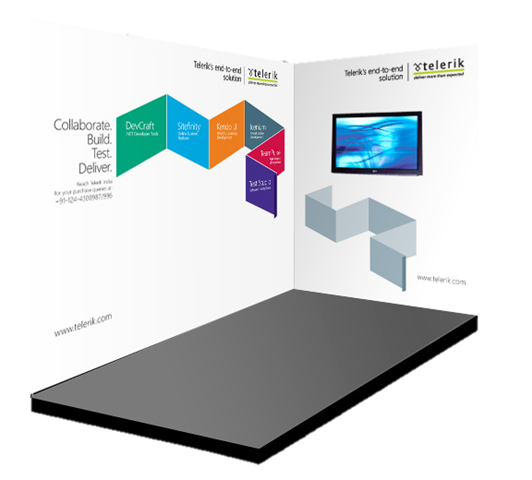 The presence was accentuated with a huge backdrop with Telerik logo & design. On Day 1, we were ready for the crowd. But the rush at the booth was not what we were prepared for. The showcase area was a big room the sponsors had their booths put up. 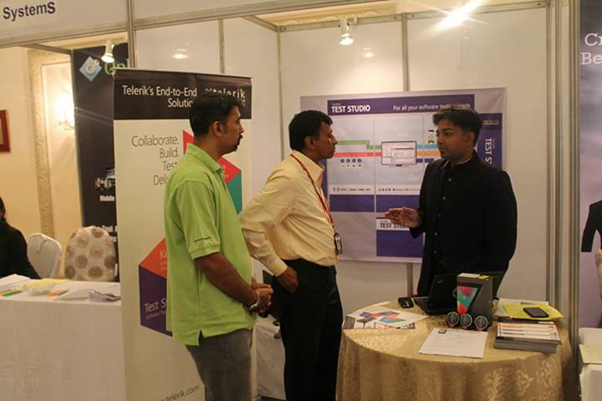 Within no time we had a big crowd around our booth talking about the latest from Telerik technologies. Most of the talk was around our AJAX/Kendo UI suites. We give away our much loved Ninja T-shirts to the most enthusiastic lot. We had a lot of questions on our DevCloud offering as well. 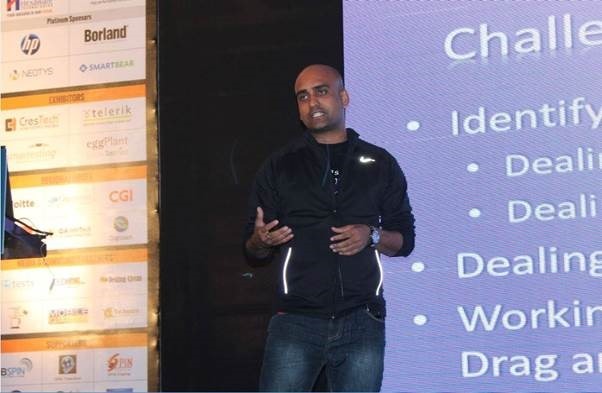 Lohith Nagaraj, delivered a jam packed session on Day 2 from the main stage at TechEd India. Titled “ASP.NET MVC – Latest & Greatest So Far” the session saw over 300+ folks voting by their feet. We are fortunate to have been a part of the last TechEds for the event will be reborn as Ignite from the next year. We were humbled by the confidence developers expressed in Telerik Technologies and will continue to deliver on the innovation in the years to come. 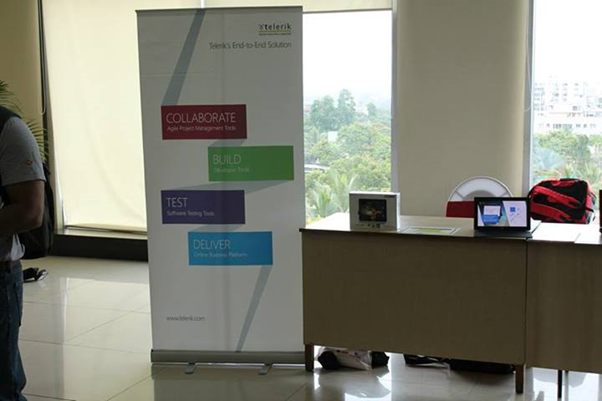 Telerik India hosted the second Telerik Test Professionals Conference(TTPC) for QA professionals in Chennai on 4th March 2014. A quick report on the TTPC 2013 edition can be found here. 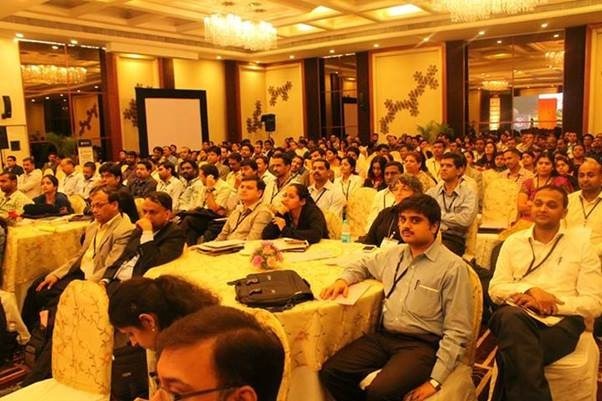 A pre-conference was also organised in Bangalore on Feb 28th. 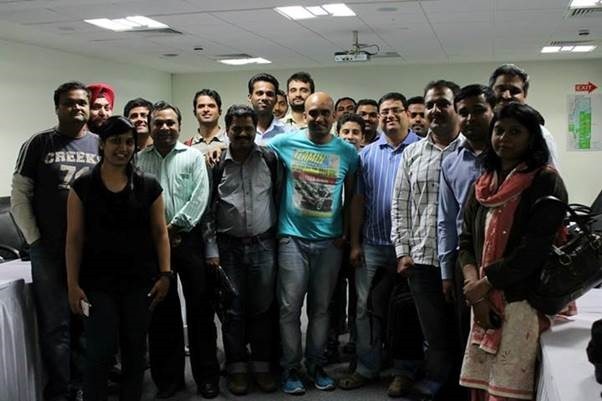 The event was aimed at sharing the best practices in automation testing with the test professionals. 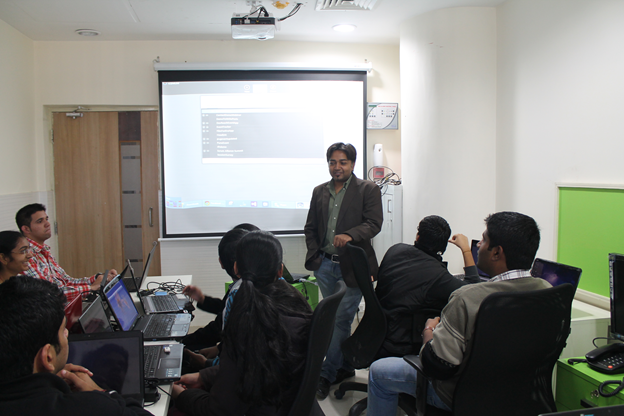 The attendees learnt to solve common automation testing problems during the event. Telerik understands the value of class room teaching and in person conversation with experts to solve real life test automation problems. The presenters included Jim Holmes and Dhananjay Kumar. Jim Holmes is well known expert on Test Automation and he travelled from USA to India to conduct these workshops. Dhananjay Kumar is Developer Advocate with Telerik India. The theme of the event was “Testing for New Age Applications”. True to the theme, strategies to enable testing for AJAX, web services and mobile applications were discussed in detail during the event. The event saw a tremendous response from testers in Chennai with over 80 attendees from various organizations like HCL, CTS, Hexaware etc. 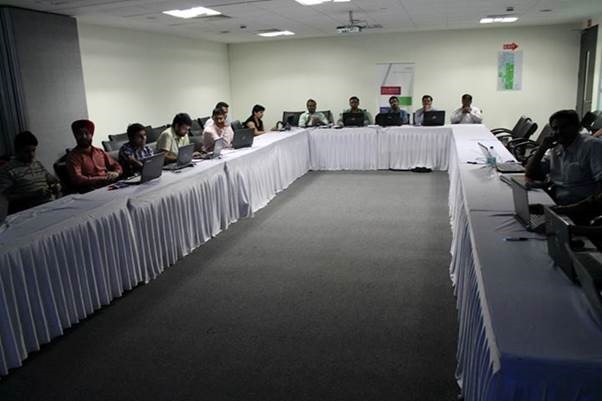 This event covered complex testing automation problems and was conducted in the format of open discussions. Attendees discussed various automation testing issue from their projects and the presenters did a great job answering them by demonstrations. On 28th February we conducted the pre-conference workshop in Bangalore for six hours. 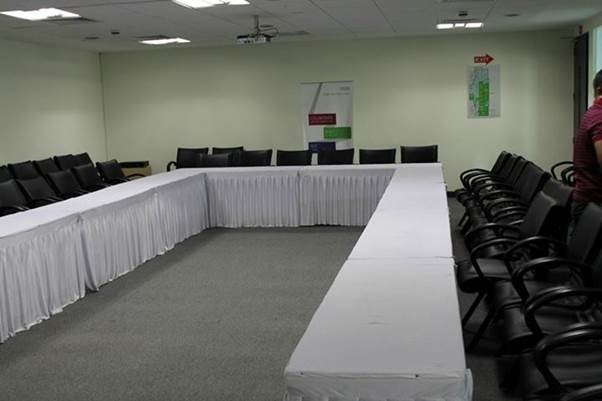 Workshop was hosted in Manipal centre at MG road. There were 20 seats for the workshop and it was occupied by representative from well-known organizations like ITC InfoTech, Philips, PWG etc. Bangalore workshop was aimed at manual testers and a step by step approach was followed to bring them upto speed on automated testing. The attendees appreciated the workshop and left the day equipped with the knowledge to confidently take up automated testing. In both events attendees learnt to solve common automation testing problems (some of them listed above) by working on the problems in the lab. Both workshops were well received by audience and there were many practical problems discussed and solved collaboratively. Curious attendees continued to engage with the presenters even after the day was over. 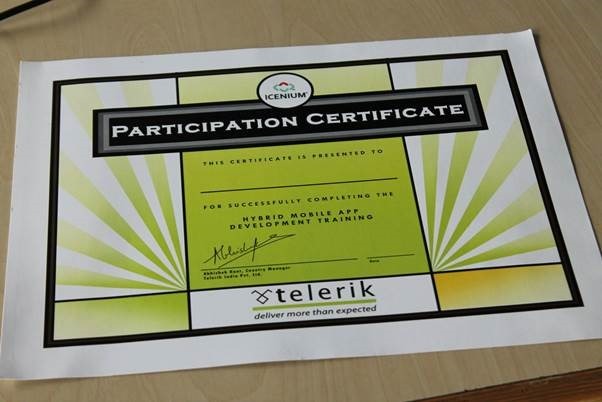 All attendees were presented with a certificate of participation at the conclusion of the event. We loved the experience of being able to converse with the quality professionals in person and hope to continue meeting them in various conferences and community events. 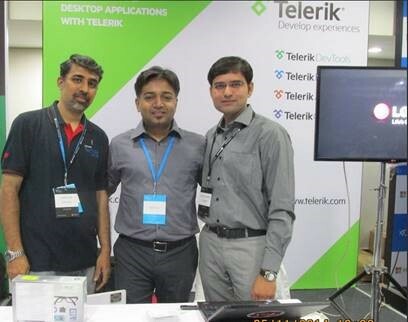 We are happy to inform that Telerik team will be present at STC 2013 on 4-5th December in Bangalore. 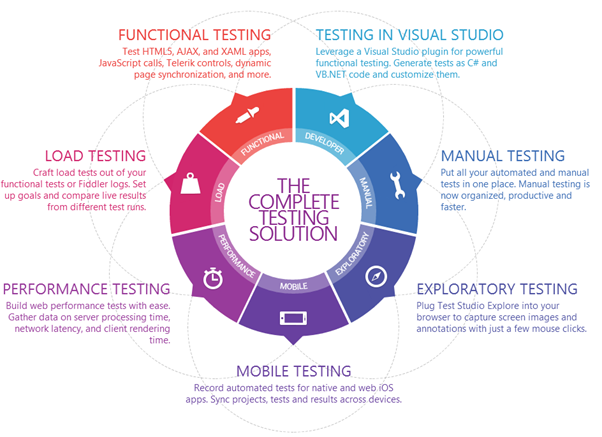 Do join us to learn more about Test Studio, along with other products at the event. We invite you to join us at Telerik booth and explore Test Studio with us. 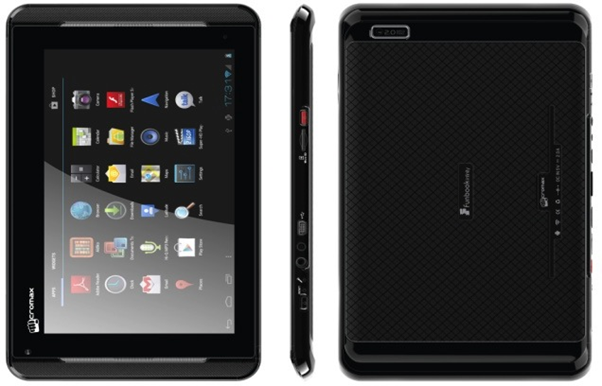 We are giving away one Nexus 7 Tablet as well at the booth. 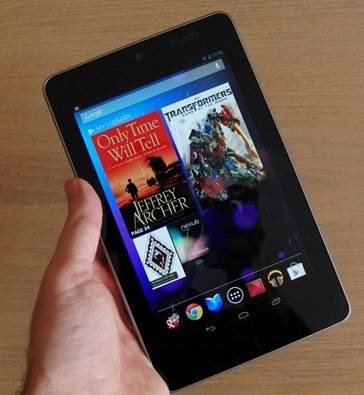 So if you come, interact and explore Test Studio with us then you have a chance to win Nexus 7 Tablet. Cross Platform Mobile Application Development or Hybrid Application development is gaining huge popularity among mobile application developers. 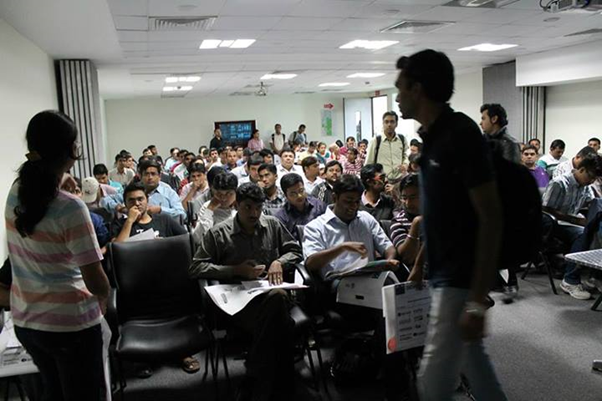 Seeing popularity of this paradigm we at Telerik decided to educate about Hybrid App Development to college students. We conducted 8 hrs. 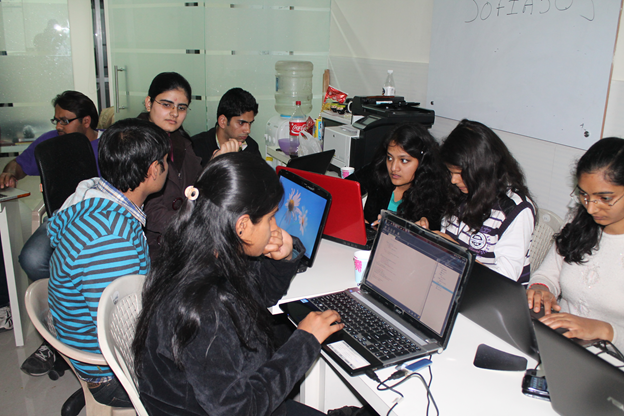 Regress training session for 13 students on 2nd March 2013 in our India office. Where is head office of Telerik ? Why we should select you for the workshop ? There were more than 80 students who shown interest in attending workshop. We chosen 13 out of them. Event started at 11 am . Workshop was scheduled till 6 pm but seeing high energy and enthuse of students , we extended workshop by 2 hrs more. Workshop got over at 8pm. Day started with keynote session by Telerik Country manger Abhishek Kant. He did set up dais for the day . Students got charged and motivated for day long coding after interaction with him. 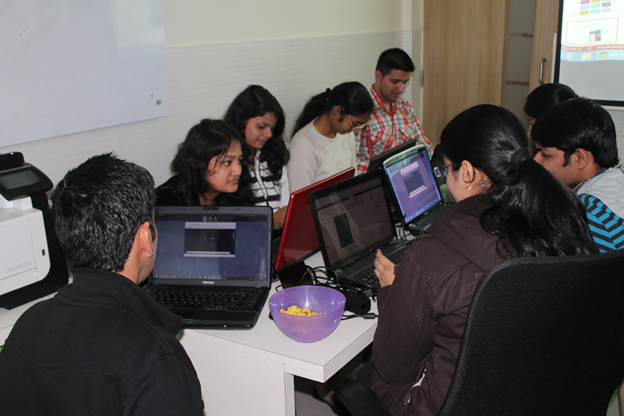 As day progressed students learnt about various aspect of Hybrid App development paradigm. They created app using Icenium and Kendo UI Mobile. Creating APK package using Icenium. It was a learning day for young students with lot of fun. There was visible happiness on each face when they installed APK package on their Android devices. They were on blue sky seeing app created by them running on their devices. 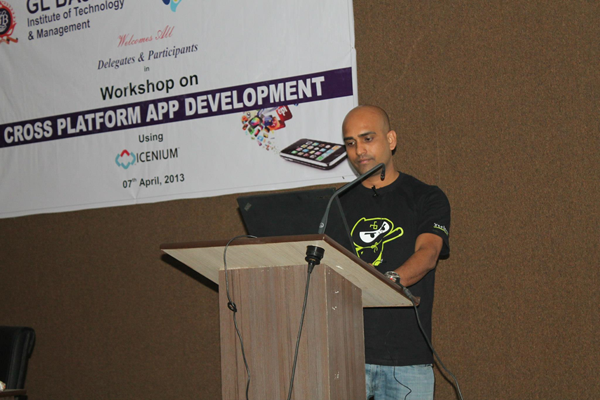 For us it was great day intercating and tecahing young students on latest of the mobile app development paradigm. We are excited for more of these types of events.